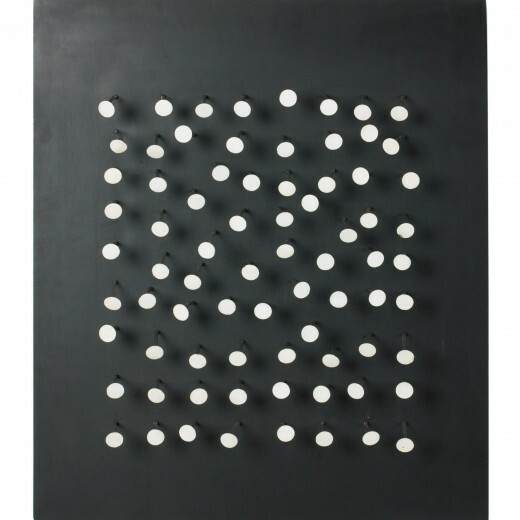 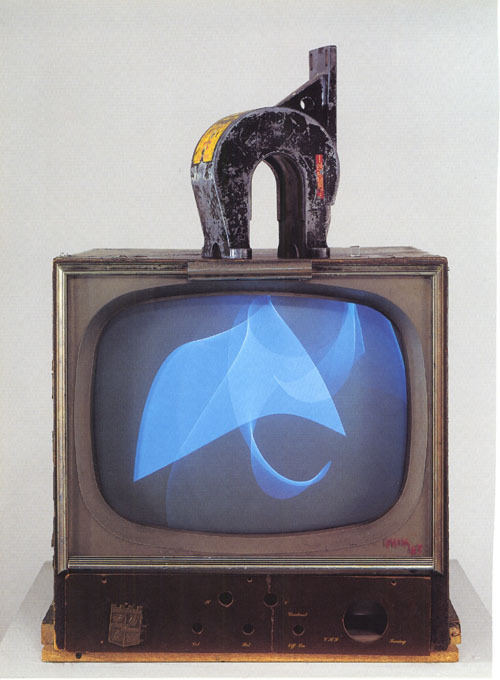 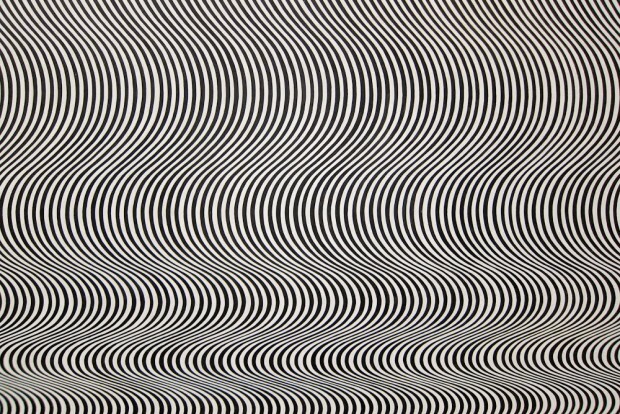 Interactive Art arose from many sources, including Kinetic art, Conceptual art, Op art, Video art, and Algorist art. 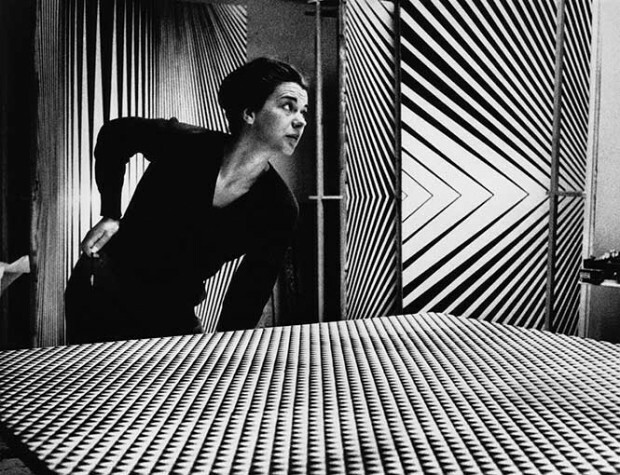 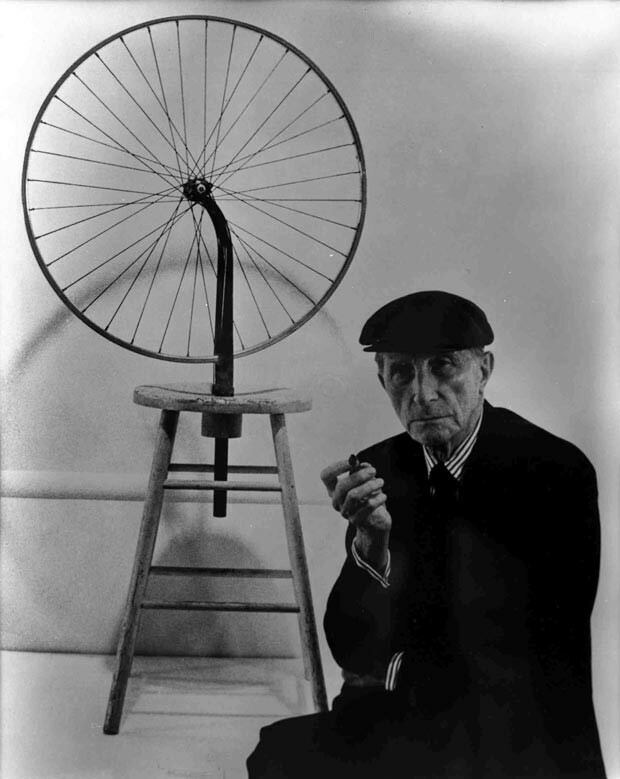 There’s a lot going on in this ‘revolutionary’ work from the birth of Modernism, including the use of non-fixed form, kinetics, interactivity, and above all, readymade fabrication. 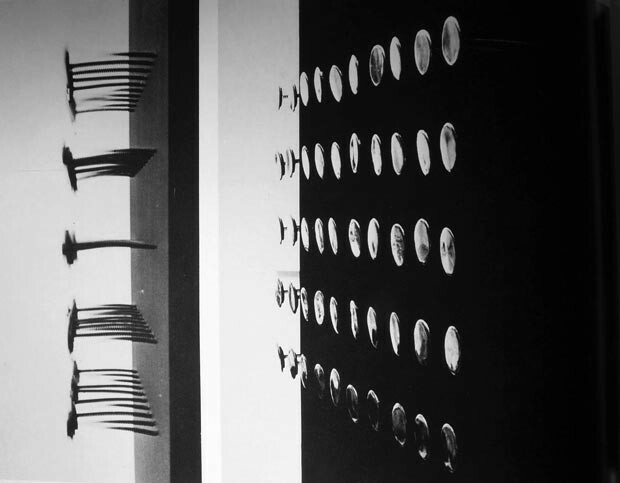 There was plenty of kinetic art which followed this, but much was autonomous; only a fraction of it invited human input or operation. 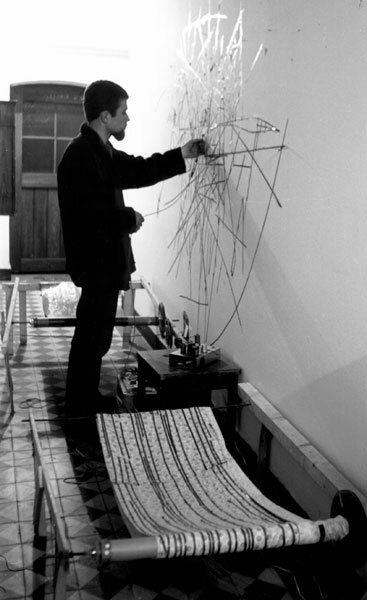 Wilfred was interested in “lumia”, or dynamic abstract light-art. 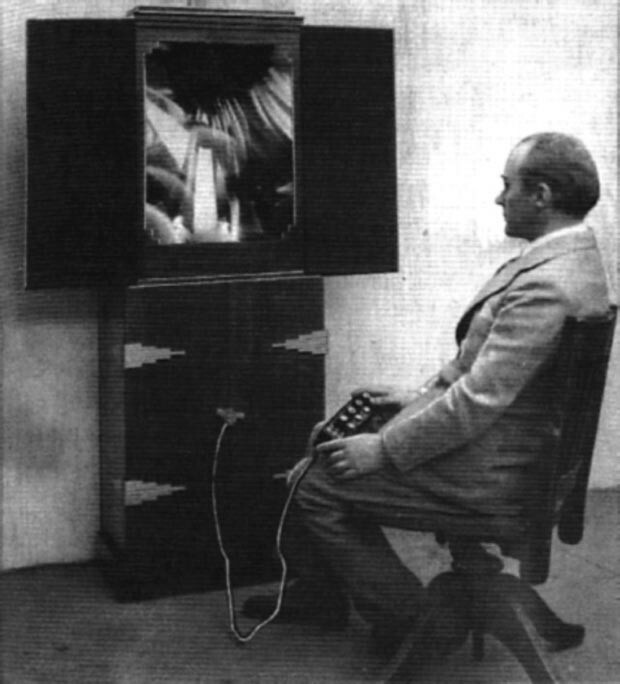 He developed both stand-alone and human-driven machines for controlling abstract imagery over time. 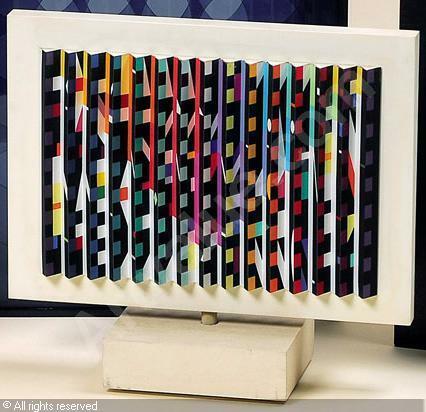 Agam made “tactile paintings”: low-relief kinetic sculptures designed to function as dynamic pseudo-2D images. 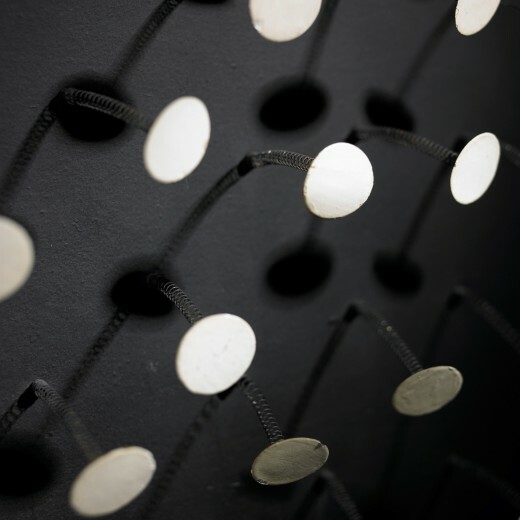 In this project, white cardboard circles are mounted on springs. 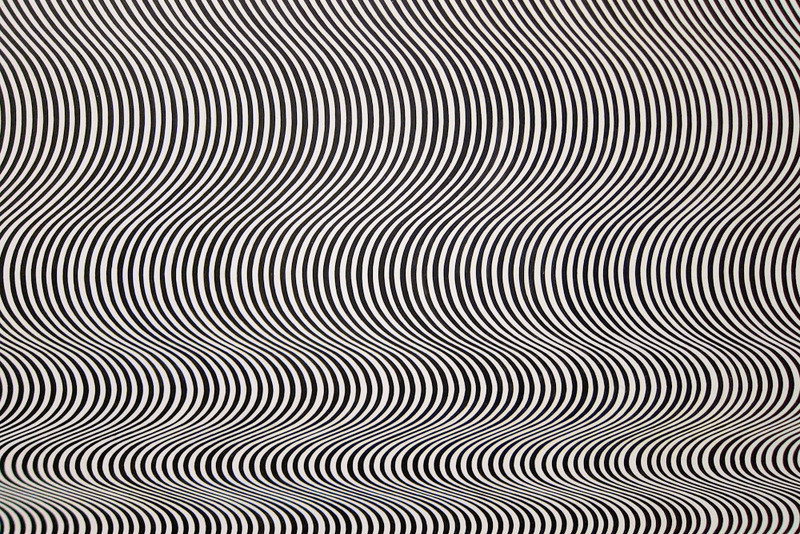 Small air currents (or manipulations by guests) vary the image, within constraints determined by the artist.